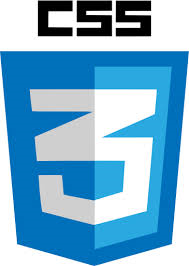 W3c published a working draft of CSS basic module level 3 on 10th March 2015, where they have extends user interface related features from the selectors, properties and values of CSS level 2. These UI related selectors, properties and value are proposed for CSS level 3.
content-box is the default behavior of width and height as specified by css2.1. The padding and border of the elements are laid out and calculated outside the specified width and height. Any padding given on the element is laid out and calculated inside the specified width and height. Content width and height is calculated by subtracting the padding width from all sides. Any padding or border given on the element is laid out and calculated inside the specified width and height. 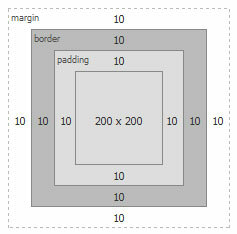 Content width and height is calculated by subtracting the padding and border width from all sides. box-sizing property value: padding-box is at risk, and may be dropped during the CR period. An outline is drawn around a visual object (button, active form field, image maps etc.) to make an element “stand out”. Generally it is used to tell the user which element on the page has focus. It differs from border in the following ways. outline is not the part of the element’s dimensions (outline falls out of the box model), therefore, it does not take space and does not cause reflow. outline is same on all sides. There are not outline-top or outline-left as in border. border support rounded-corner with radius; Outline doesn’t, although firefox has -moz-outline-radius which allows rounded corner on outline. outline-offset property negative values is at risk, and may be dropped during the CR period. It specifies what should happen when text overflow the containing element. Value ‘ellipsis’ renders an ellipsis(…) character (U+2026) to represent clipped inline content. This property specifies the type of cursor to be displayed when pointing on an element. The user agent treats unsupported value as ‘auto’. CSS developer can set a specific image as a cursor. A fallback plan for cursor. This example will set the cursor on all hyperlinks, first a SVG image. If user agents that do not support SVG cursors would skip to the next value and use “hyper.cur”. If that format is not supported by UA, it would skip to next value and finally if UA does not support any of given cursor formats, it would skip to the last value.